This vintage Waterfront house is just what you always wanted - simplicity on the beach best describes this historic house called Rainbow Colored House by the locals in Gay Head. 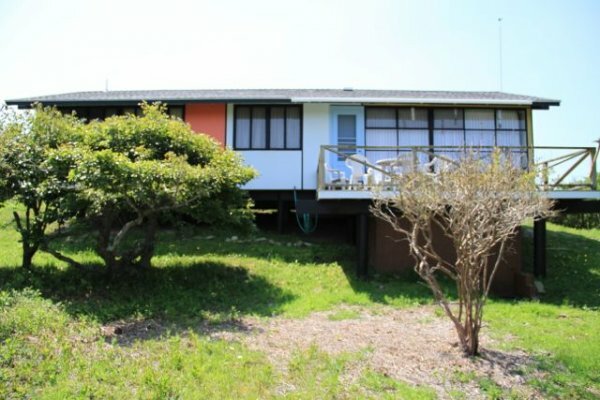 Also known as the multi colored house, this home affords a one-of a kind view of the Atlantic Ocean at Zacks cliffs. This home is reminiscent of the Summer of 54, and has all the components of these beloved Summer days gone by. Comfortable and bright, excellent layout for your group of friend or family to enjoy leisurely days on the beach, fishing, swimming and surfing. It is the ONLY house on the Philbin Beach side in Aquinnah, and the ONLY one so close to the water.